We understand you are a busy person, and we value your time. Our 1on1 programming consists of a full body strength training routine focused on improving all facets of fitness, performed in one or two 45 minute sessions per week. You will get stronger, gain lean muscle tissue, lose body fat, improve flexibility and cardiovascular output. Our clients love the personal attention to detail that the 1on1 session provides. No matter your fitness level our trainers will develop the best overall program for you! 1on1 Sessions are optimal for program design that requires modifications around injuries or other medical concerns. Our trainers are proficient in working with all types of injuries. All of our trainers hold a degree in an exercise related field as well as a wide range of certifications. What does evidence-based resistance training mean? 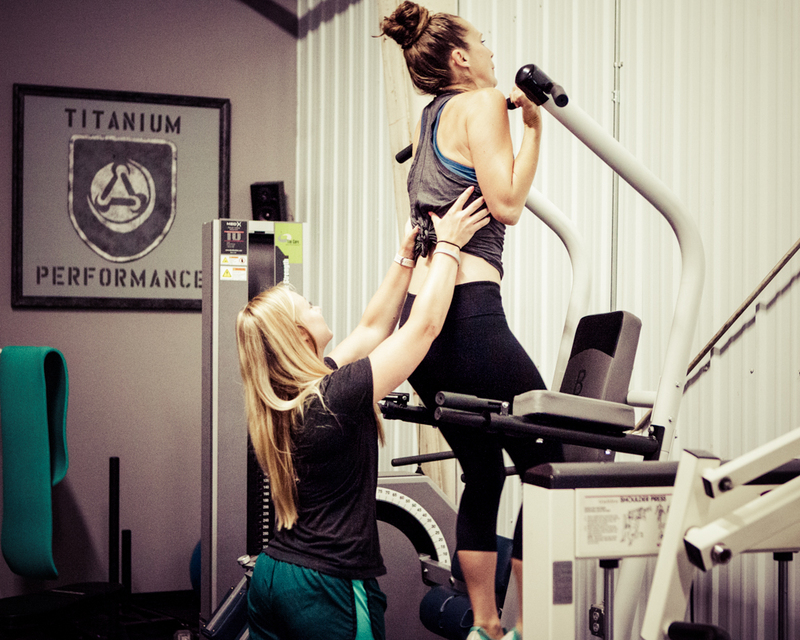 At Titanium Performance, we review old and new research and information to provide the highest quality workout possible for each client. Are you looking to achieve the best version of yourself through a properly designed, progressive strength training routine? Contact us for a FREE introductory session and see how we can help you!